The unicorn craze is going nowhere fast. It’s here. Fully bedded in. 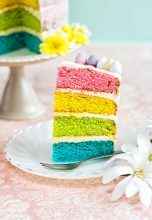 So we teamed up with the very excellent Lucy of Supergolden Bakes to bring you a grown up, sedate version of the unicorn cake.